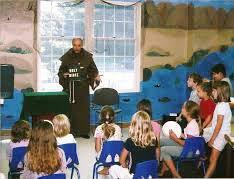 Magic for the young and young at heart! 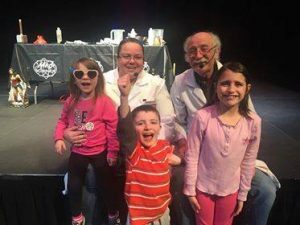 Gary has been in the entertainment field since 1972 in the Southern New England area when he did his first professional magic show. Gary has performed throughout the United States and Canada in many different roles which include, but are not limited to, the following: Magician, Disc Jockey, Actor, Stuntman, Storyteller and Balloon Artist. Gary B and the Music Machine first appeared in 1975. This was one of the first traveling DJ shows in southern New England. Gary spun the vinyl and rolled the tapes at various campgrounds, school dances, weddings etc. As one half of the Walsh Brothers Wild West comedy team, Gary portrayed Lucas Walsh. This duo traveled throughout the United States and Canada and performed at different Theme Parks, Rodeos, Festivals and parties. Gary has also worked with Top Hat Productions doing Dinner Theater. He not only acted in many of their productions, but he also did prop work, sound and lighting work for them. As an accomplished storyteller, Gary can pull a wide variety of characters from his bag of tricks. They range from a French Fur Trapper in the early 1600’s through many Old West characters. Each character tells historically hysterical tall tales suited to the time period he represents. As a magician, Gary has performed in many different characters to suit the theme of the event. 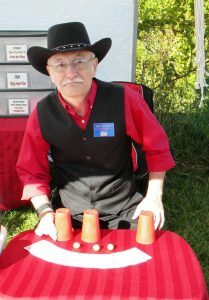 Gary has performed magic throughout the Northeast for a full range of audiences from fair and festival attendees, birthday parties, anniversary parties as well as corporate events, product roll outs and conventions such as the Big Y Kid’s Fair and other events for Jenks Productions. In 1998, Gary joined Milestone Productions and Events, an internationally known family entertainment production company based in Massachusetts. He held many positions, from carpenter and props master to Company Manager for touring shows. Gary has also worked all aspects during the corporate events Milestone has produced for many national and international companies from a performer to the on-site events coordinator/technical supervisor. Most recently, Gary started working for Mad Science of Western New England as Professor Presto. This main altar ego of Gary’s is an instructor for the after school program, in class workshops and summer camps/awesome activity weeks. Gary is also the lead performer and show specialist. Gary has several characters that could appear at your event. Gary has performed in several murder mystery plays. 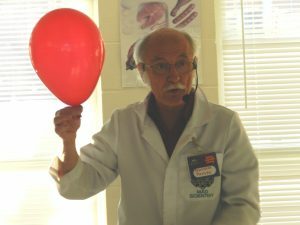 Gary’s main alter ego is Professor Presto, a Mad Scientist, the lead performer/show specialist for Mad Science of Western New England.